You will be redirected to an external site (Youtube) on whose content we have no influence and for which we can assume no liability. Please note that other privacy policies may apply. You will be redirected to an external site (Google Maps) on whose content we have no influence and for which we can assume no liability. Please note that other privacy policies may apply. You will be redirected to an external site on whose content we have no influence and for which we can assume no liability. Please note that other privacy policies may apply. Rieter is the world’s leading supplier of systems for short-staple fiber spinning. Based in Winterthur (CH), the company develops and manufactures machinery, systems and components used to convert natural and manmade fibers and their blends into yarns. Rieter is the only supplier worldwide to cover spinning preparation processes as well as all four end spinning processes currently established on the market. Uncompromising quality and extensive industry knowledge make Bräcker the market leader in the manufacture and marketing of key components for ring spinning machines. This is evident not only in the wide range of excellent products but also in the distinctive competence of the staff to advise and provide solutions. Graf has become the worldwide leading supplier through its high-quality products. Since 1917, Graf has been manufacturing innovative metallic card clothings, flexible flat clothings and stationary flats for cards. Benchmarks have also been set by the high quality combs, service machines & accessories. Graf is a global partner for competent technical advice and maintenance. Novibra is the leader in spindle technology and the only 100% in-house spindle maker. They are constantly bringing innovation to the world of spinning taking the advantage of their own R&D department. Providing a wide range of spindles to cover even the most demanding requirements of yarn producers and spinning machine manufacturers. 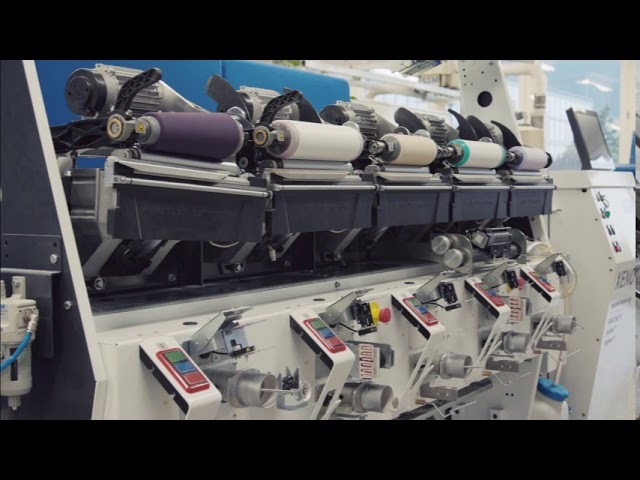 SSM is the world’s leading supplier of precision winding machines in the fields of dyeing, weaving and sewing thread preparation and enjoys success in individual segments of filament yarn production. SSM comprises the companies SSM Schärer Schweiter Mettler AG in Horgen and subsidiaries in Italy and China. SSM is represented worldwide in all major markets. Only recently SUESSEN celebrated its 95th anniversary. Since its establishment in 1920, the company has been of great value for the spinning industry, providing an immeasurable number of innovations and developments with lasting effect and influence on the history of spinning. SSM Textile Machinery, Horgen (Switzerland) is a subsidiary of the Rieter Group based in Winterthur (Switzerland). In the combined 300-year-old tradition of the Schärer, Schweiter and Mettler companies, which merged in 1989 to become SSM, the commitment to textile machinery and facilities for yarn processing has always been exceptional. Find the perfect SSM machine/solution for your request. Our competences are the yarn processing and the winding operation as well as the downstream processes in which improvements in quality and efficency are reached thanks to optimal packages and processes. For this reason, SSM is committed in many applications of the textile process chain.